Most top colleges have closed down admission for various courses. 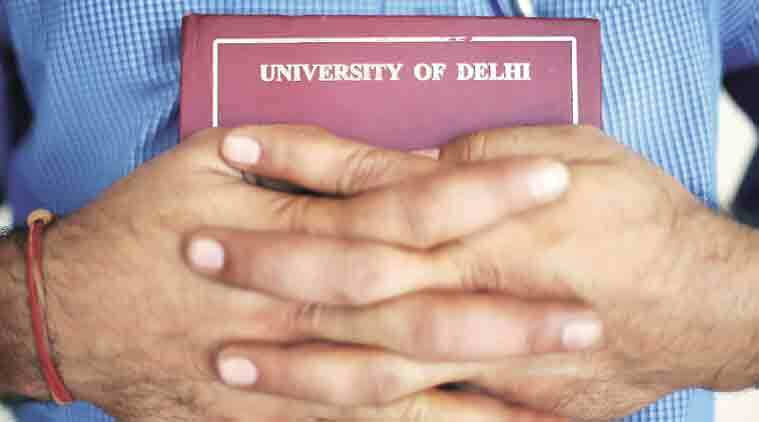 Admissions under the second cut-off list at Delhi University came to a close on Wednesday with 26,291 out of 56,000 seats filled already. Most top colleges have closed down admission for various courses. Shri Ram College of Commerce (SRCC), for example, has closed both its courses — BCom (Hons) and Economics (Hons) for the general category. On Wednesday, DU saw 4,003 admissions — almost 1,000 higher than on Tuesday. The third cut-off list is due oN June 30. “We have closed down admissions for both courses in the general category. Economics is also closed for the SC category, while BCom (Hons) is closed for the ST category,” said SRCC principal Simrit Kaur. Similarly, Hindu College, which had closed nine courses for admission in the first list, will see more courses being closed for admissions. Botany (Hons), the lone science course which was open for admission in the college, is also likely to close. “Economics, BCom (Hons) and English will remain open, but courses like Sociology, Philosophy and Hindi will close. While Economics, BCom will not reduce cut-off by more than one mark, English may see the cut-off come down by three marks,” said principal Anju Srivastava. Similarly, Ramjas College, which has seen the most number of admissions till now, is likely to close more courses. “Physics, Political Science and BCom (Hons) may close for admission, but there is no course which will re-open. The cut-off is not likely to dip by more than one mark. Our focus will be to fill the reserved seats now,” said Ramjas principal Manoj Khanna. The college has also seen the maximum withdrawals, 180, till date, but Khanna says it is a case of moving from one course to another within the same college. Daulat Ram College, which had most of its courses open in the first list, now has a majority of courses shut for admission. “Most of our courses are now closed, including Economics, Psychology, BCom (Hons) and BCom. Science courses like Botany, Chemistry, Physics and Mathematics are also closed. The remaining subjects will remain open either on the same cut-off or one mark lower,” said DRC principal Savita Rai. At Kamala Nehru College, however, several subjects will remain open except History, Psychology and BA Programme. “There will be no third list for these, but for other courses we still need to calculate the dip in percentage. It’s likely to be between 0.25 per cent and one per cent,” said an official source.